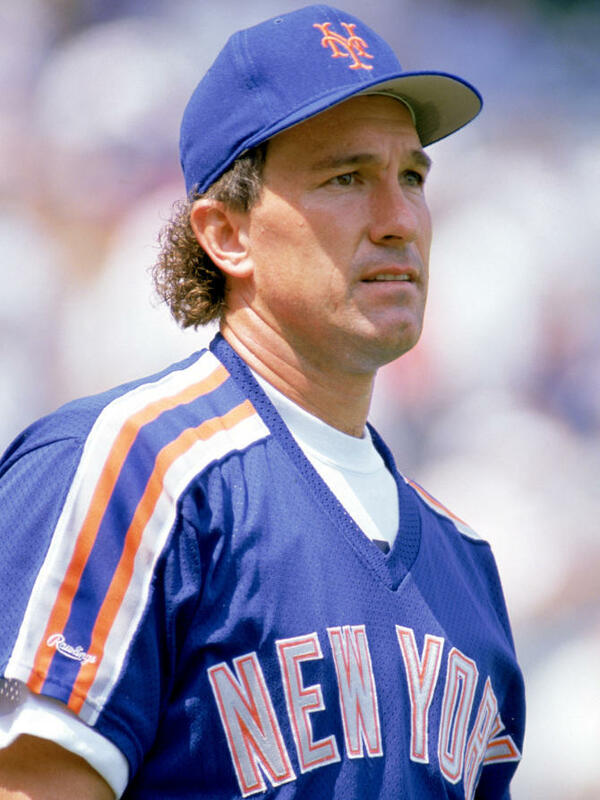 Gary Carter of the New York Mets looks on during a game in the 1989 season. The star of the Mets' 1986 World Series win died Thursday, after a fight with brain cancer. 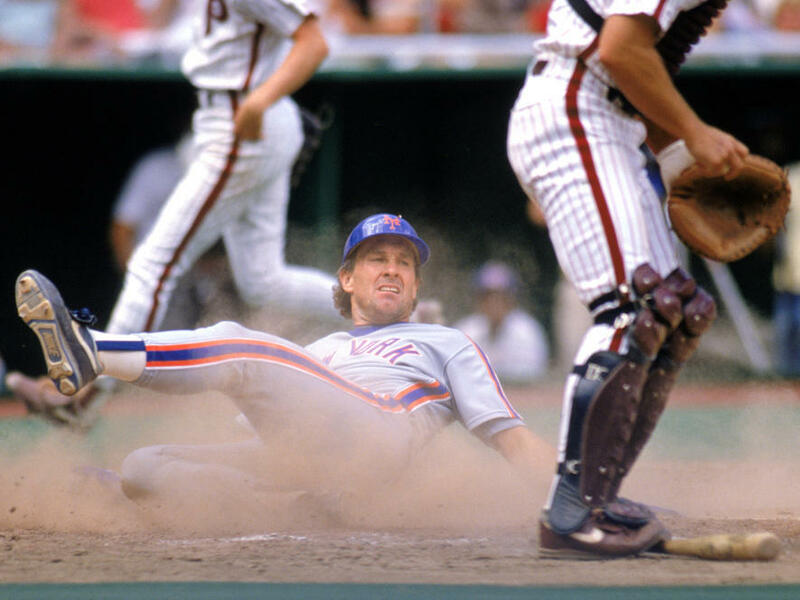 Gary Carter slides over home plate during a New York Mets game in the 1989 season. The Hall of Fame player died Thursday, of brain cancer. Carter's heroics helped the Mets come back to an improbable victory in their epic World Series against Boston — he singled and scored a crucial run, moments before teammate Mookie Wilson hit a ball that rolled through the legs of the Red Sox' Bill Buckner. The Mets went on to win the championship. In recent years, Carter had been coaching Palm Beach Atlantic University's baseball team. He managed to pay the team a visit before their season opener just two weeks ago, despite being weakened by his illness. In New York, WFAN's website posted part of a statement from Carter's family, in which his daughter wrote, "I am deeply saddened to tell you all that my precious dad went to be with Jesus today at 4:10 pm. This is the most difficult thing I have ever had to write in my entire life but I wanted you all to know." Carter is the only player in baseball's history to hit two homeruns in both a World Series game and an All Star game, the AP reports. He was inducted into the Baseball Hall of Fame in 2003. "As a Met, Carter nailed about 27 percent of would-be base stealers. "Carter was the team leader on a team of team leaders. The 1986 Mets included Keith Hernandez, Howard Johnson, Mookie Wilson and Ron Darling. Any one of them was capable of being team captain." "Carter came through when it counted the most. He was not going to make the final out of the 1986 World Series. Down to his final strike, he singled off Boston Red Sox right-hander Calvin Schiraldi and the rest is history." Carter's career began with the Montreal Expos, and continued in New York. He then played for the Los Angeles Dodgers and the San Francisco Giants. He played behind the plate for most of his career, but the versatile Carter also spent time in the outfield, as well as playing first and third base.